Kurtis Downs Sponsored Pro Rider for High Country E Bikes watch him in this years X-Games! Favorite Spots to Ride: Franklin Farm, backyard ramps, Oakley skatepark, Utah mountain deer trails. Favorite Food: Chipotle Mexican Food, pasta, and hamburgers. 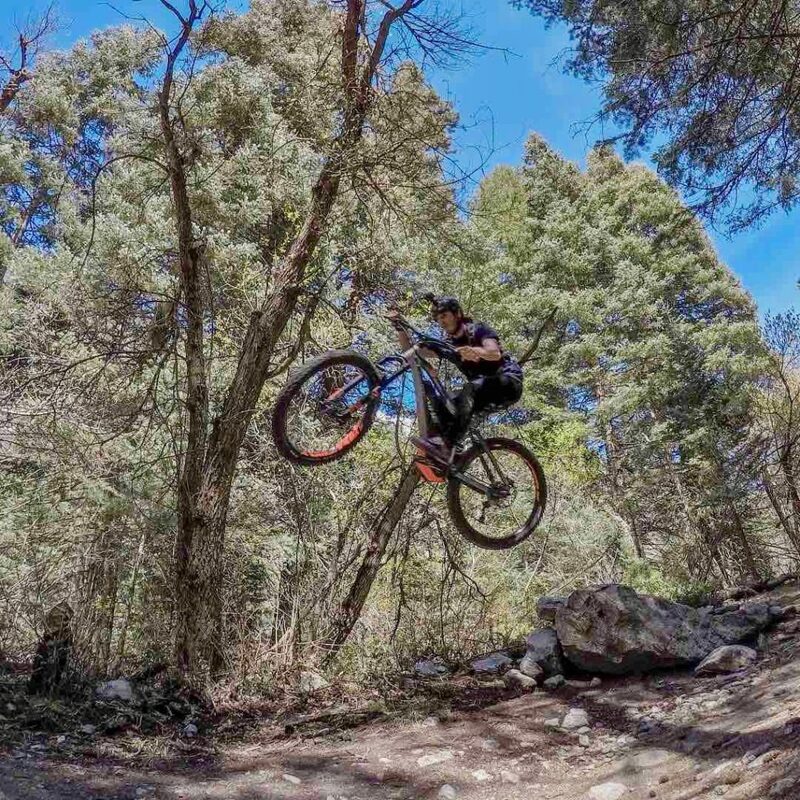 Meet Kurtis Downs, our sponsored professional rider for High Country E-Bikes. Kurtis is a professional bike riding athlete who travels the world performing in live shows. He competes in the world's most prominent action sports competitions like Nitro Circus and the ESPN X-Games. 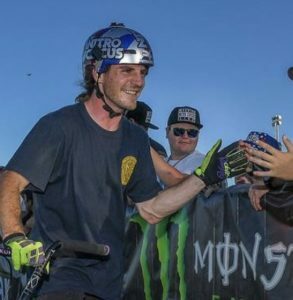 As of 2018 he's now a Haibike ambassador and is also preparing to enter the Minneapolis X-Games and the World Nitro Tour this year! Twenty-five years ago Kurtis Downs grew up in Firth, Idaho and rode dirt bikes around his small town. In 2010, he received his first BMX-style bike. Shortly after making the switch from Moto to BMX he started riding professionally for Nitro Circus Live in 2013. Since then he's been traveling the world entertaining audiences with his spectacular skills. 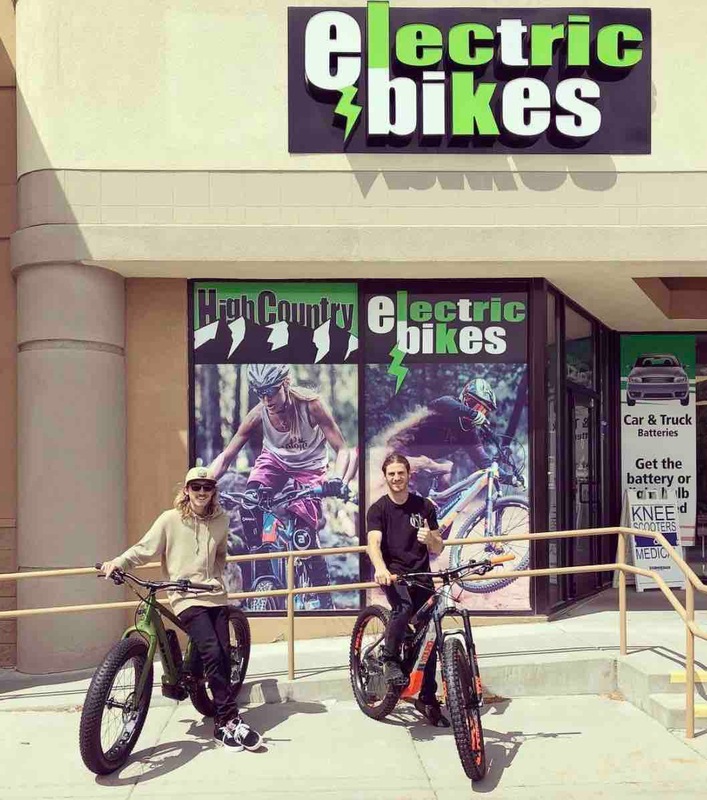 Here's Kurtis Downs in front of High Country E-Bikes in West Jordan, Utah. In 2016 he placed 2nd in the world for Nitro Circus World games BMX Biggest Air. A year later in 2017, Kurtis got invited to X Games Big Air, placing 3rd his rookie year. 2018 is going to be a big year for Kurtis with over 40 Nitro Circus shows scheduled. Kurtis will also be competing in the Nitro Circus World Games event, and two X Games Big Air events. Catch him live on ESPN July 19th - July 22nd for the 2018 Minneapolis X-Games! Kurtis likes to ride without shocks due to his history on BMX. 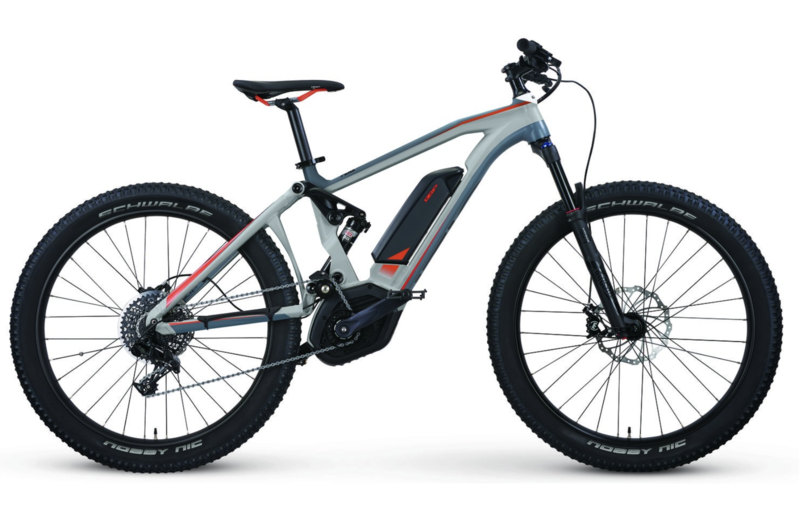 We sell a lot of these e-bikes. The fully formed aluminum alloy frame and fork have plenty of cargo mounts to carry heavy loads so you can pack everything you need for your next outing. Just under $3,000, you can't beat the price on this Bosch-powered electric fat tire bike. Great option for hauling freight up or plowing through snow. hunters can't do this with a fat tire e-bike, but a pro rider can. That doesn't stop the average rider from loving the iZip E3 Sumo. 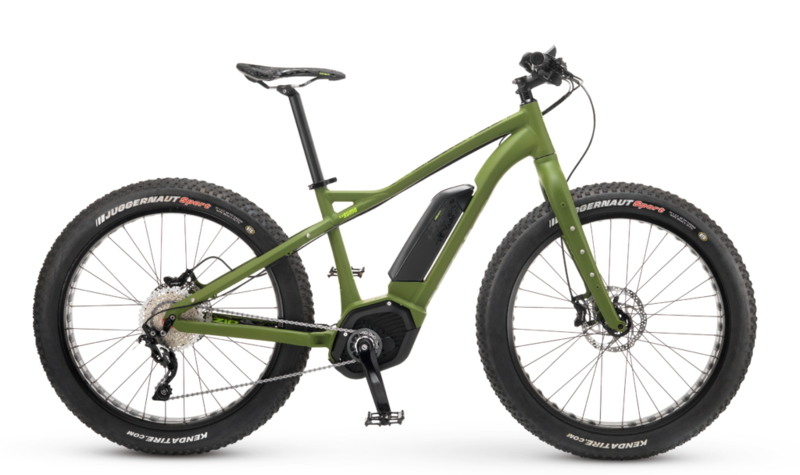 Hunters love this fat tire electric bike by iZip. You save quite a bit of money without shocks. You’ll find you don’t need as much suspension with fat tires. 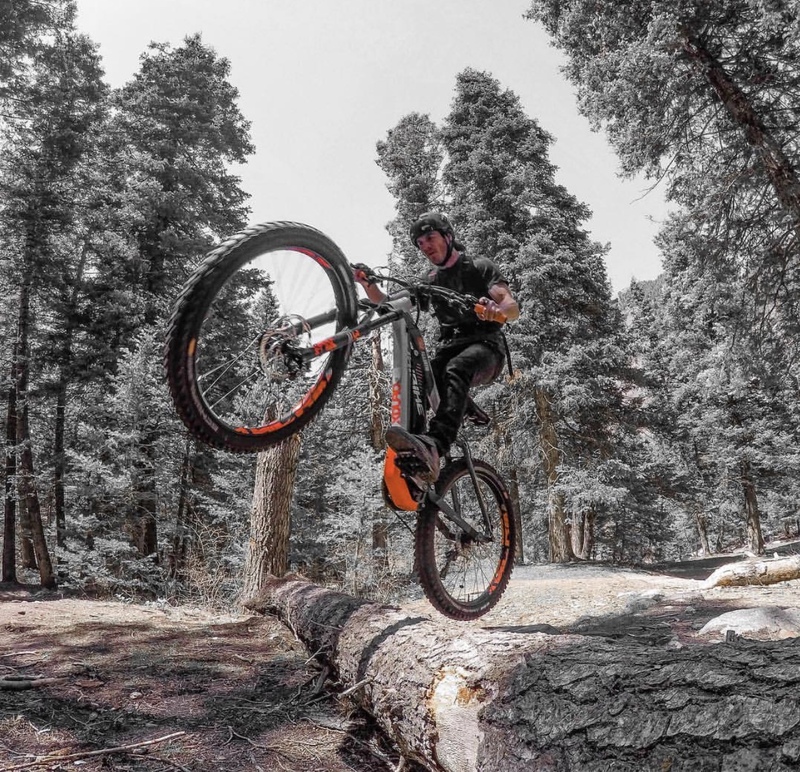 Kurtis is giving this highly responsive, full suspension, 6061 aluminum alloy frame the ride of its life and he’s making full use of the plus size tires, riding up and down the hardest mountains without a fuss. 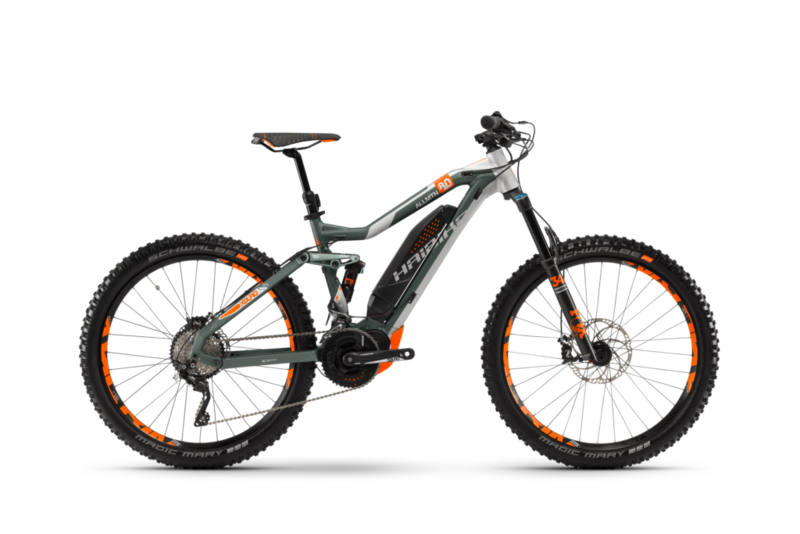 For those who want to be able to ride all-mountain style, at a reasonable price, choosing this iZip model is a great choice. Kurtis Downs is an X Games and Nitro Circus professional rider. 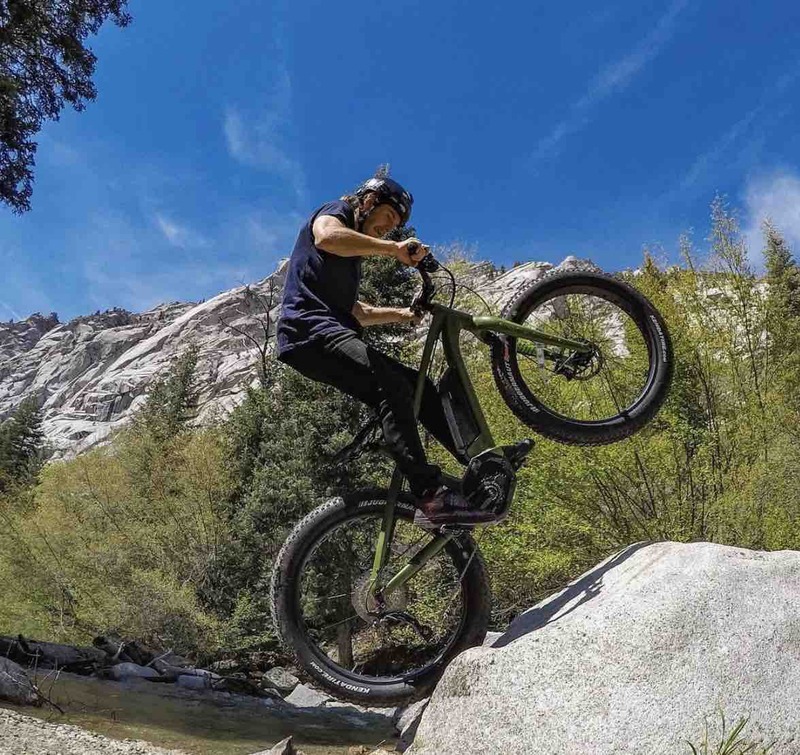 Famous for BMX riding, and growing up riding Moto, he's become a sponsored rider for High Country E Bikes. 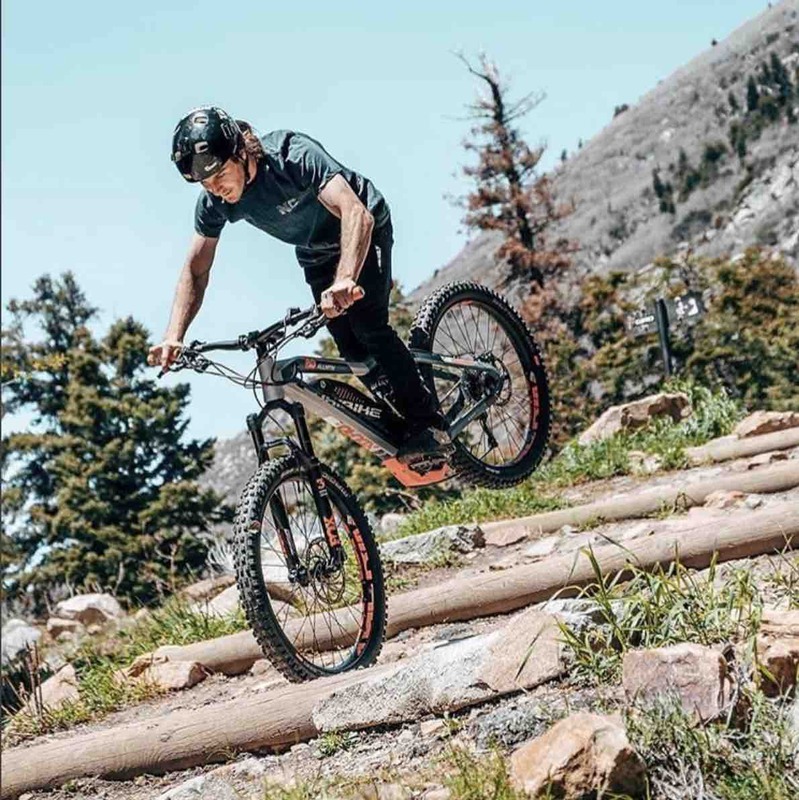 Here he's riding a Haibike AllMtn 8.0 in Utah. The cream of the crop for all-mountain riding comes from the AllMtn lineup by Haibike. We had to put Kurtis out on the 2018 XDURO AllMtn 8.0, with the new PW-X motor by Yamaha. He’s putting his Moto-skills to use riding at top speed up, and down any hill, the Utah mountains can throw at him.